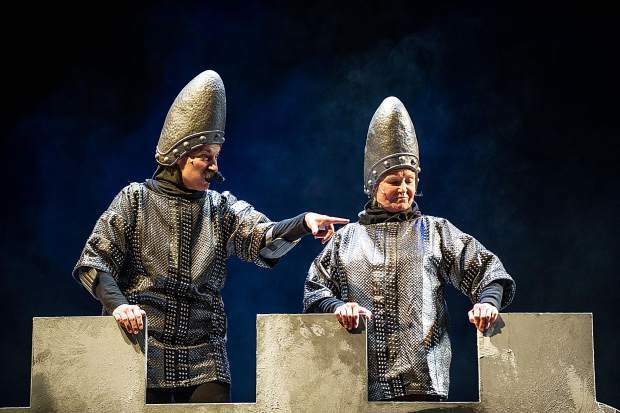 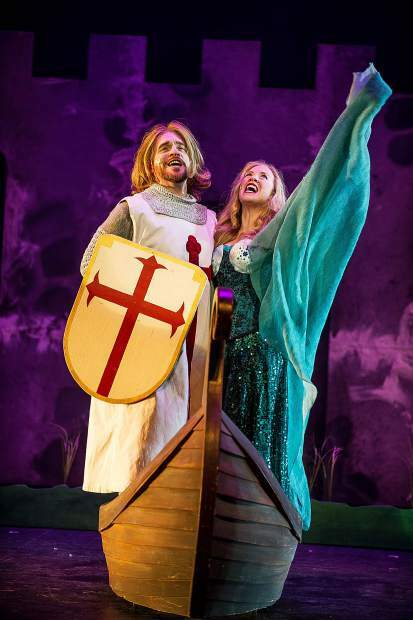 King Arthur of Britain, acted by Gary Daniel and Patsy, by Gerald Delisser, perform a scene from the Aspen Community Theatre production of "Spamalot" at a dress rehearsal on Wednesday at the District Theatre in the Aspen Elemenetary School. 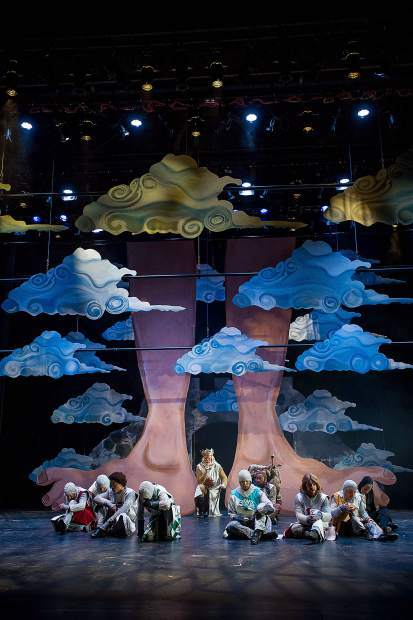 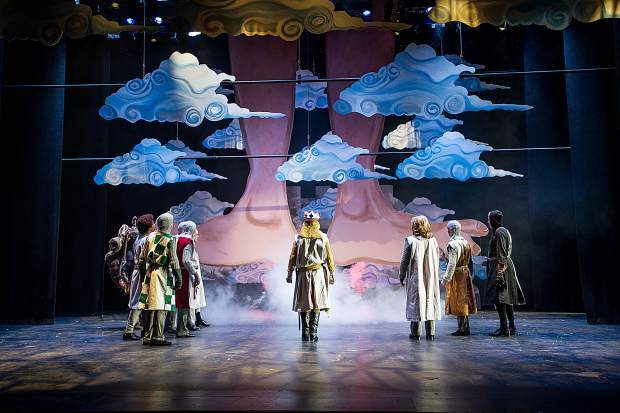 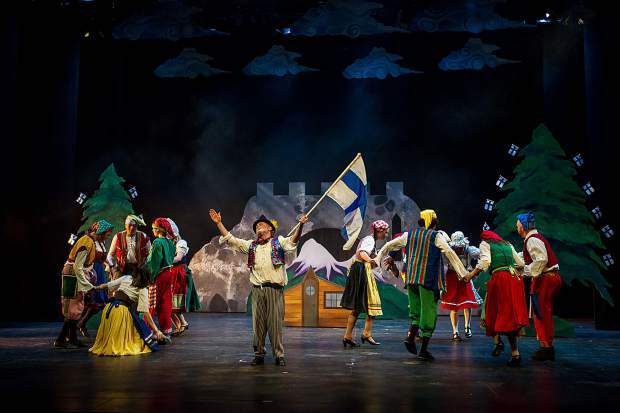 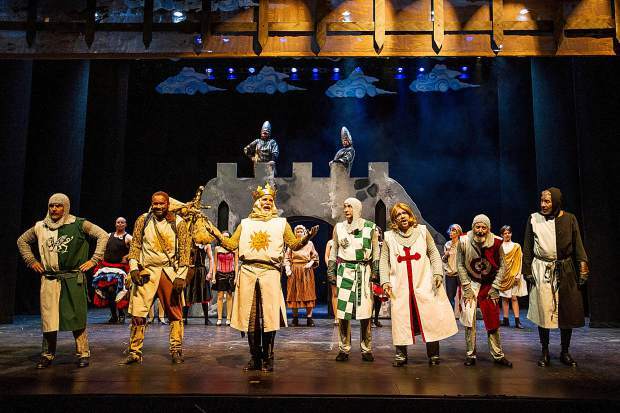 A scene from the Aspen Community Theatre production of "Spamalot" at a dress rehearsal on Wednesday at the District Theatre in the Aspen Elemenetary School. 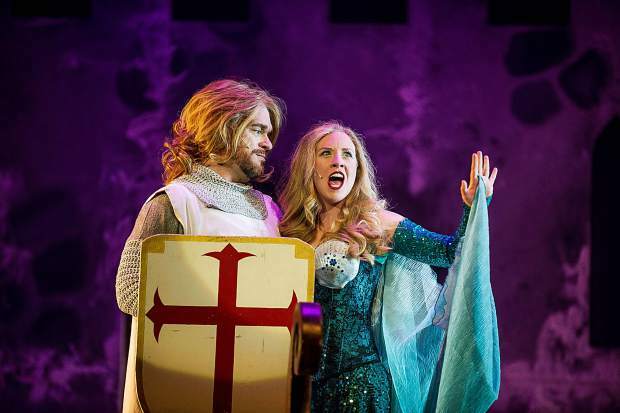 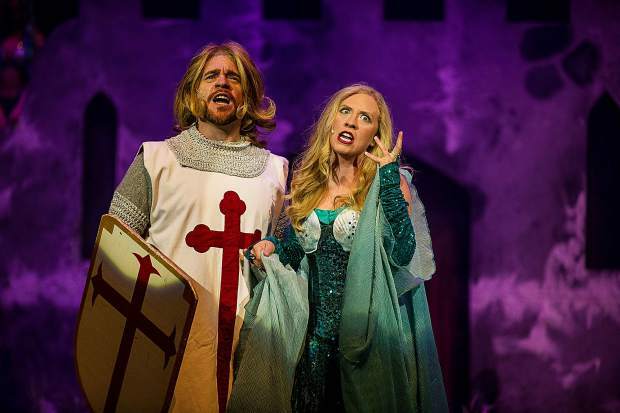 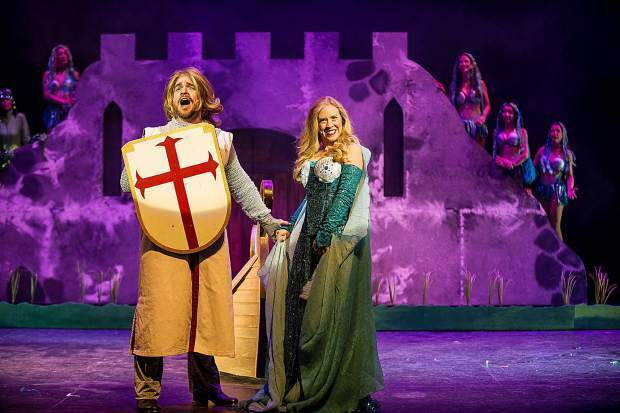 The Lady of the Lake, Sonya Meyer, and Sir Dennis Galahad, Travis Lane McDiffit, perform a scene from the Aspen Community Theatre production of "Spamalot" at a dress rehearsal on Wednesday at the District Theatre in the Aspen Elemenetary School. 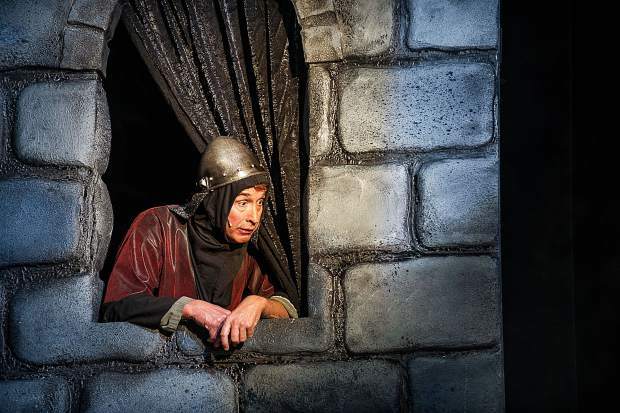 Franz Alderfer performs a scene from the Aspen Community Theatre production of "Spamalot" at a dress rehearsal on Wednesday at the District Theatre in the Aspen Elemenetary School. 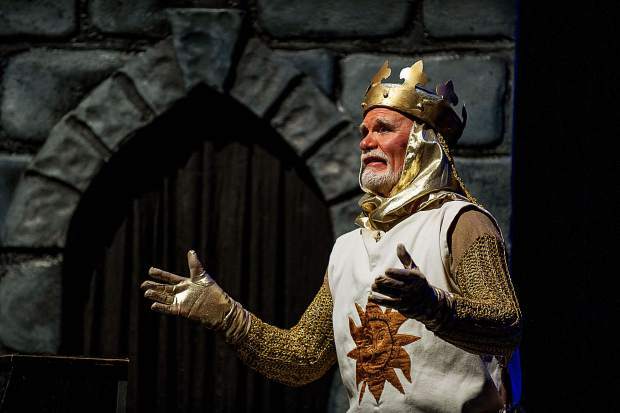 King Arthur of Britain, acted by Gary Daniel performs a scene from the Aspen Community Theatre production of "Spamalot" at a dress rehearsal on Wednesday at the District Theatre in the Aspen Elemenetary School. 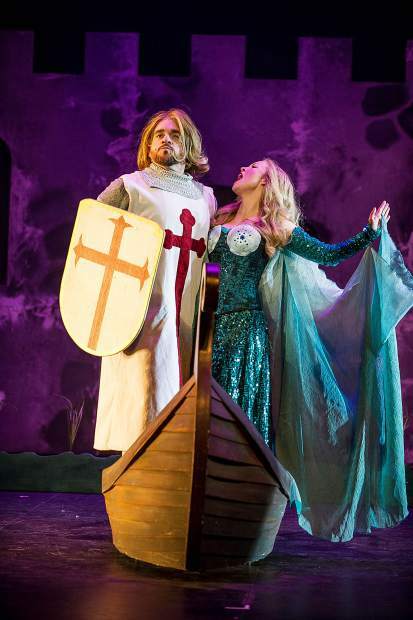 The Lady of the Lake, Sonya Meyer, performs a scene from the Aspen Community Theatre production of "Spamalot" at a dress rehearsal on Wednesday at the District Theatre in the Aspen Elemenetary School. 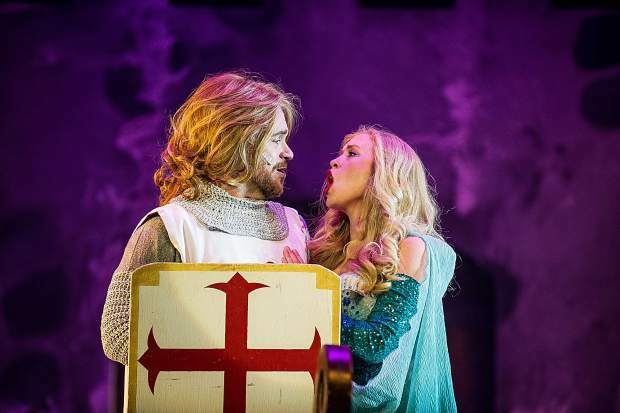 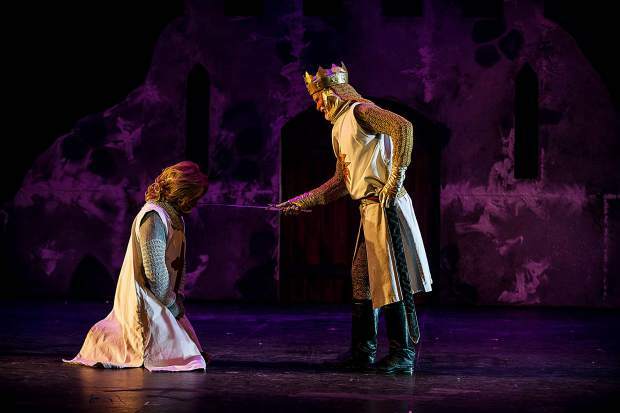 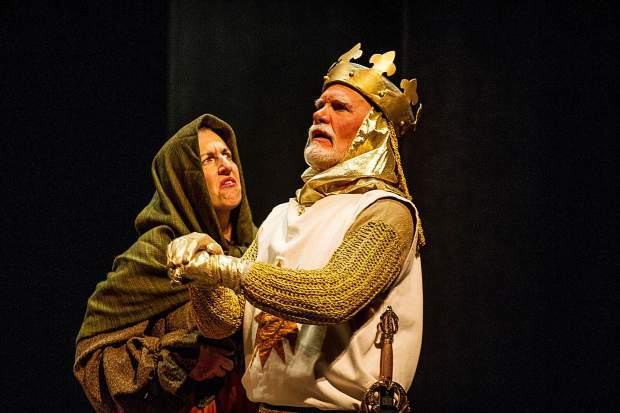 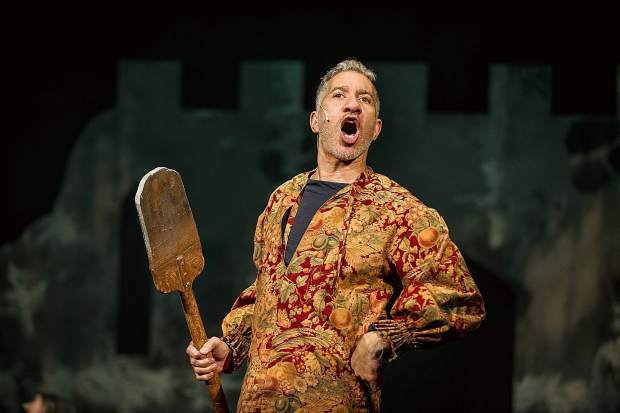 King Arthur of Britain, acted by Gary Daniel performs a scene with Nina Gabianelli from the Aspen Community Theatre production of "Spamalot" at a dress rehearsal on Wednesday at the District Theatre in the Aspen Elemenetary School. 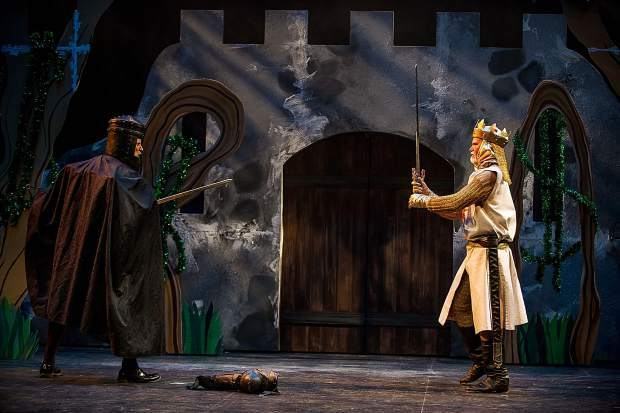 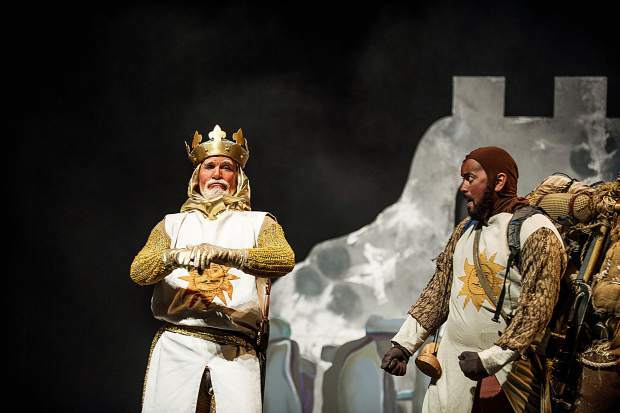 King Arthur of Britain, acted by Gary Daniel and Sir Dennis Galahad by Travis Lane McDiffit, perform a scene from the Aspen Community Theatre production of "Spamalot" at a dress rehearsal on Wednesday at the District Theatre in the Aspen Elemenetary School. 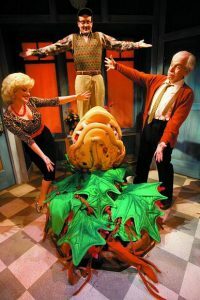 The naughty, nose-thumbing humor that’s had teenage boys and Python fanatics giggling, going “Ni” and quoting lines for decades became an unlikely Broadway smash in 2005, winning the Tony for Best Musical. 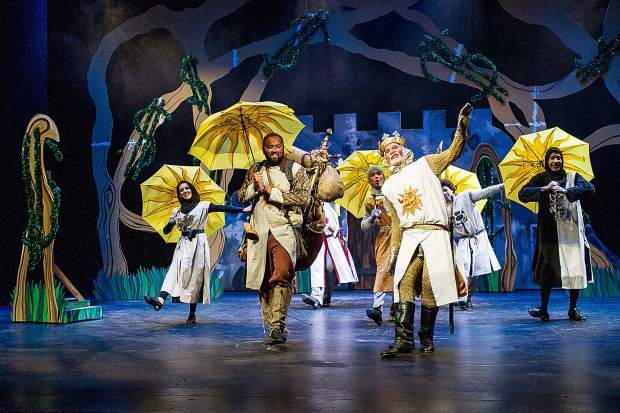 While incorporating the favorite bits for hard-core Pythonites — the Killer Rabbit of Caerbannog, Tim the Enchanter, “Run away!” and so on — the musical manages to please the uninitiated, as well. 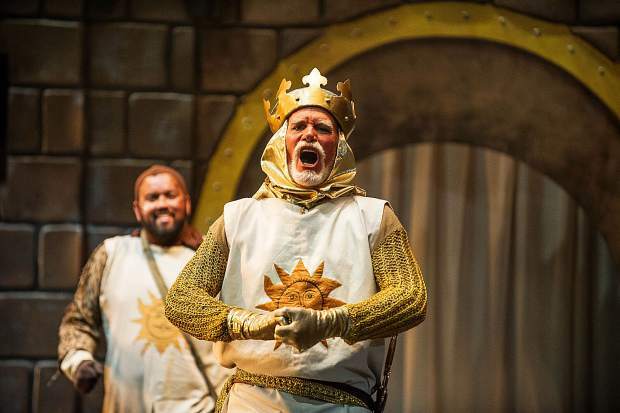 One of the ways it expands its reach beyond the fervent Monty Python faithful is by brilliantly sending up Broadway and the tropes of musical theater. 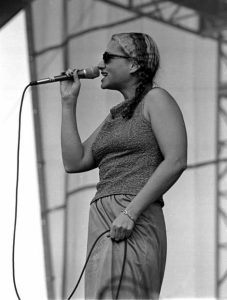 Meyer recalled seeing it on Broadway as a teenager and playing the cast recording nonstop at home. 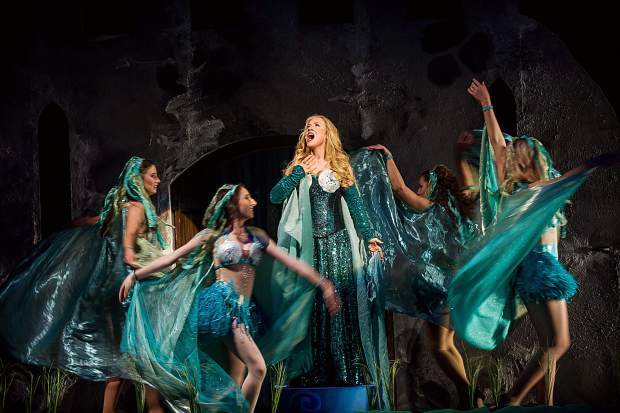 One of her songs as the Lady of the Lake, “Whatever Happened to My Part,” has been her go-to audition piece since she was in high school. 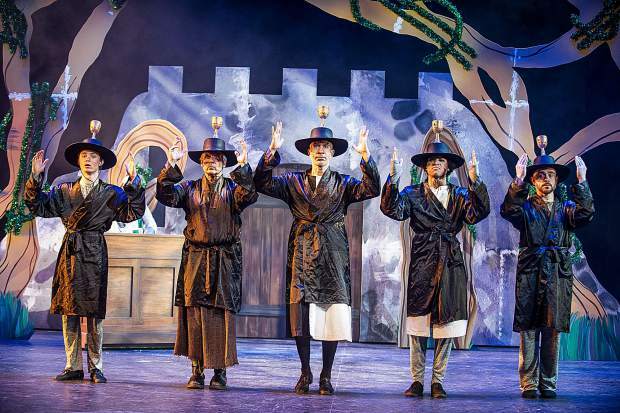 Directed by Colorado theater veteran Wendy Moore, assisted by her husband Bob Moore, the Aspen Community Theatre production and its cast of 26 have been in rehearsals since mid-September. 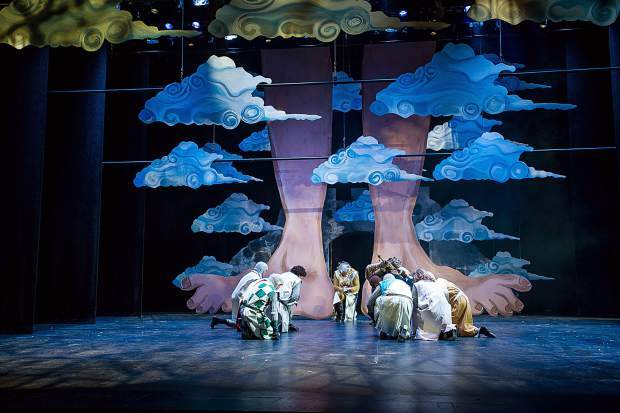 The show opens tonight. 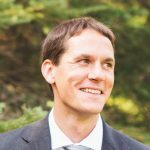 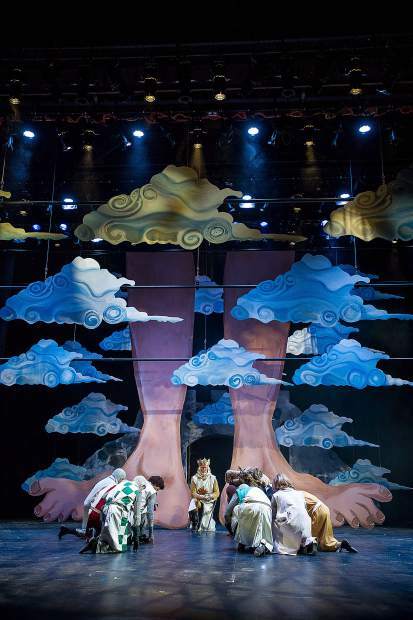 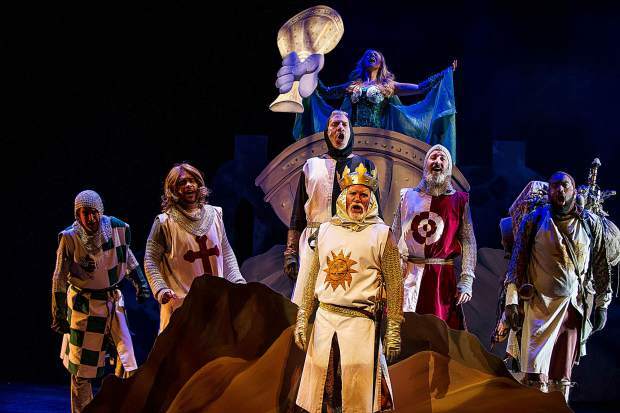 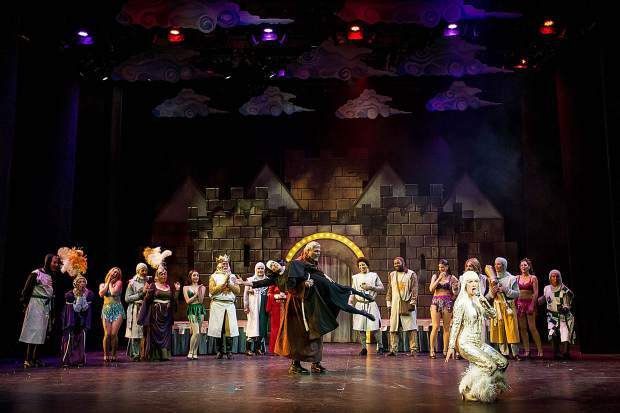 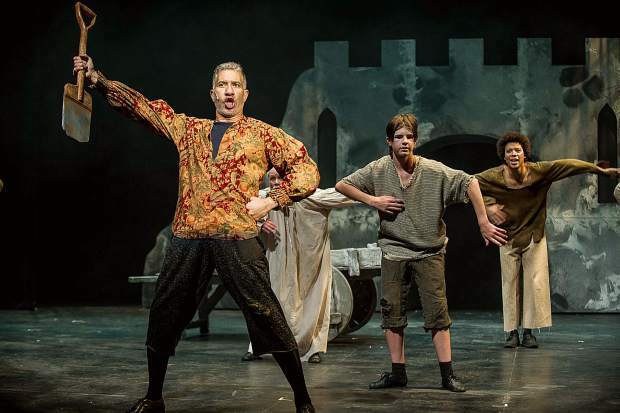 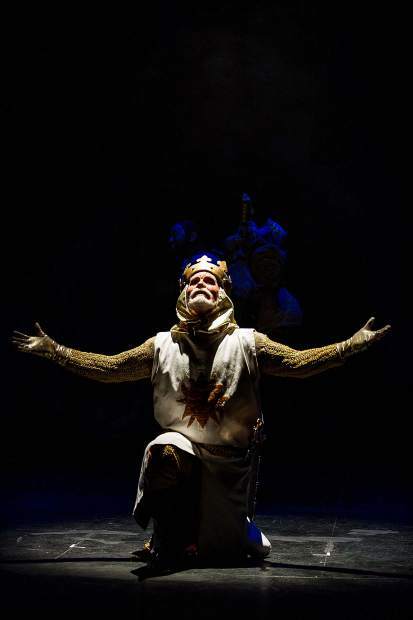 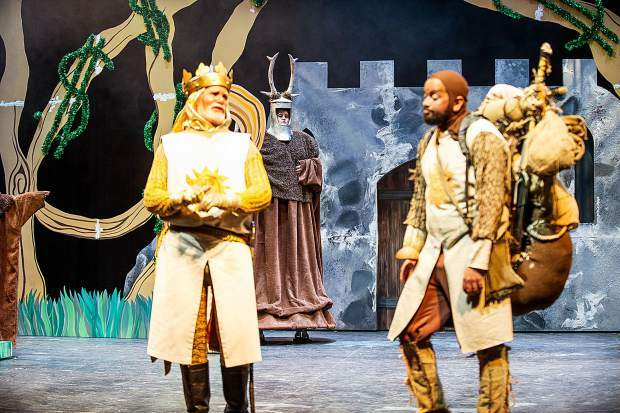 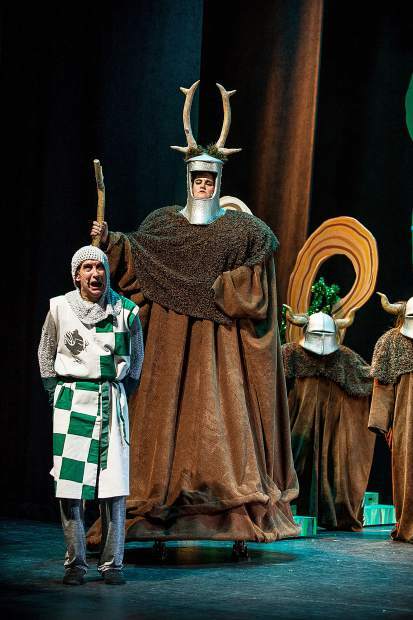 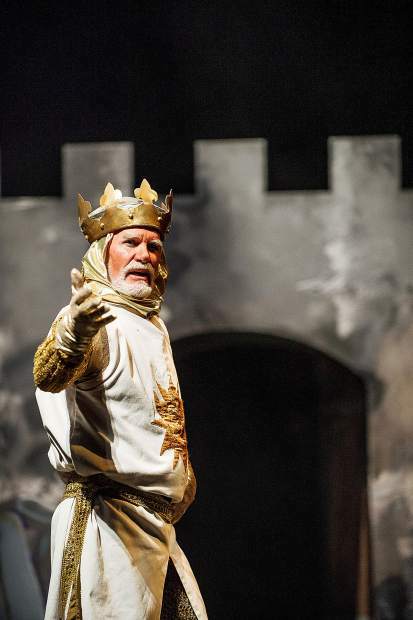 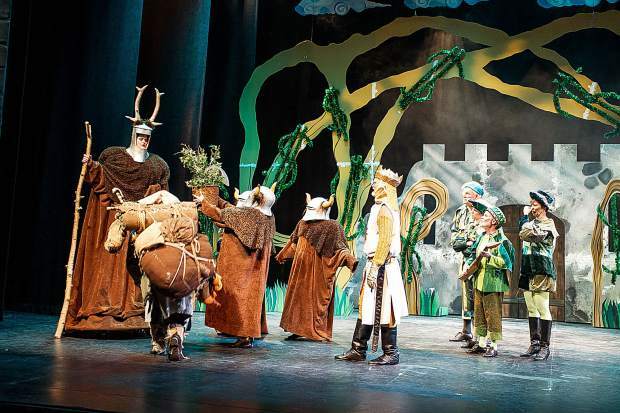 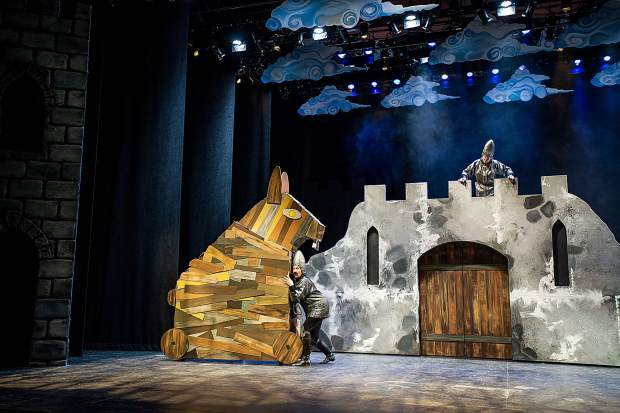 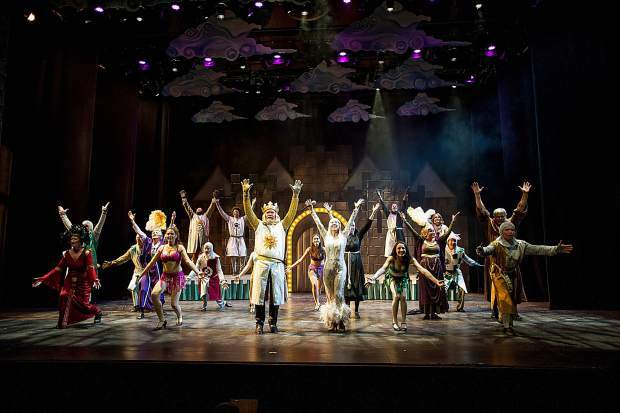 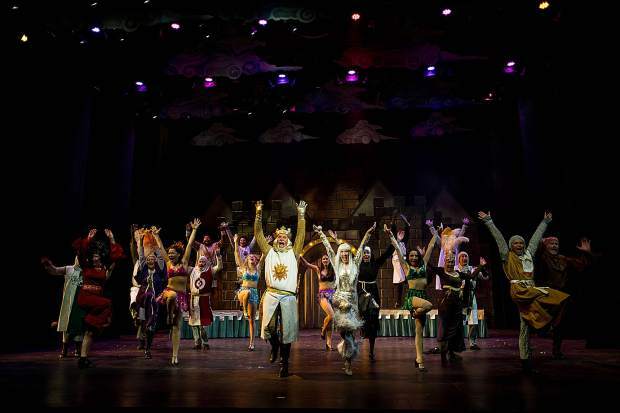 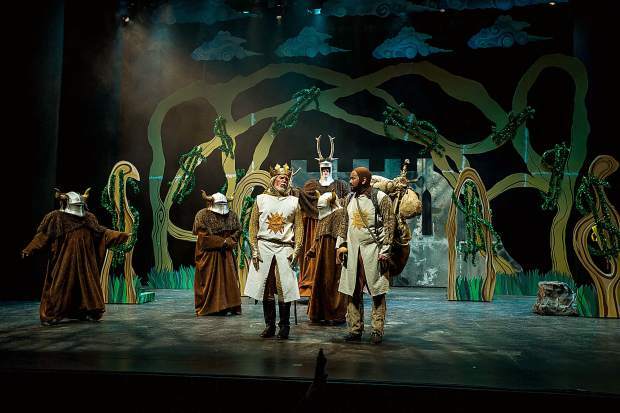 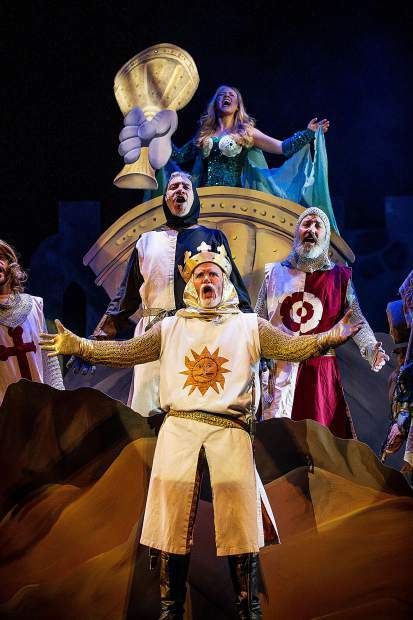 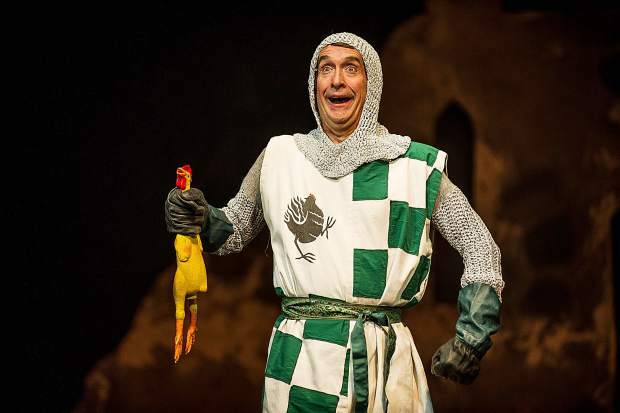 Pulling off the anarchic and absurd musical comedy in “Spamalot” adds an extra degree of difficulty for the cast and crew, Finnie said. 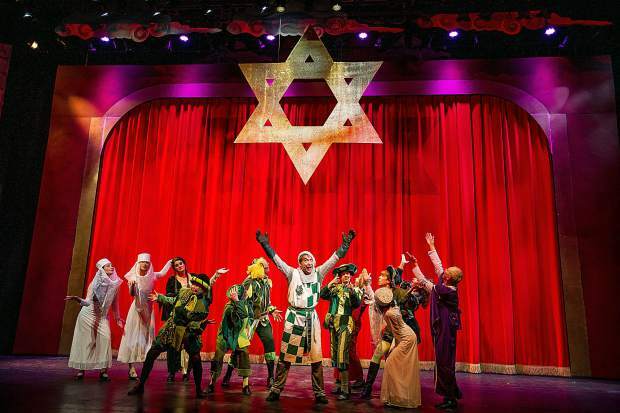 Ditto for the elaborate sets (some of which are only onstage for a few seconds to hit a punchline) and the costumes (some actors have as many as seven changes in the show) and the choreography, which calls on these community theater actors to pull out all the steps. 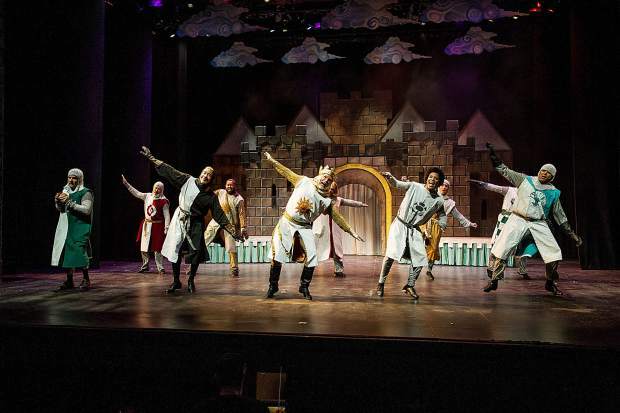 “This show has bits and pieces of ‘Fiddler on the Roof,’ of ‘A Chorus Line,’ of ‘Guys and Dolls,’ and it has tap-dancing — every genre of musical is in this show,” choreographer Jennetta Howell said between rehearsal numbers. 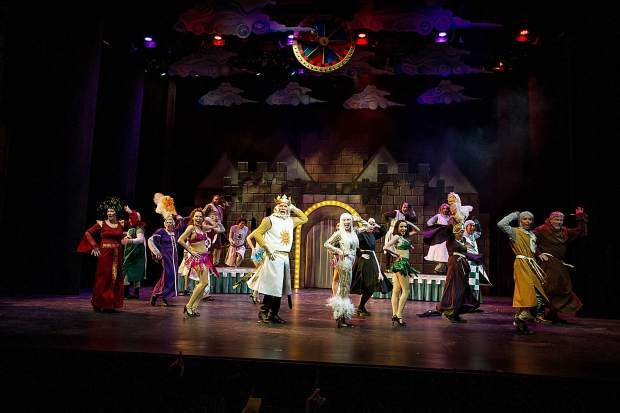 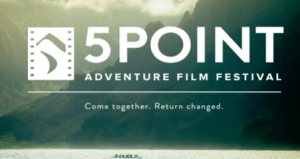 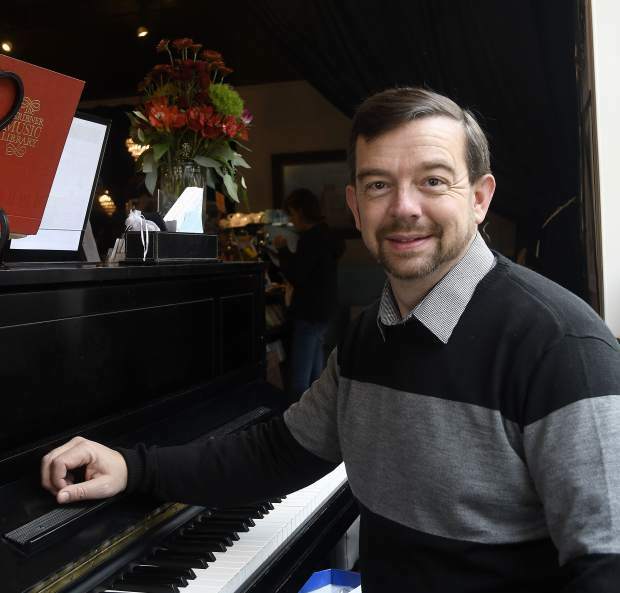 But if any community theater can pull it all off, Howell said, it’s Aspen’s. 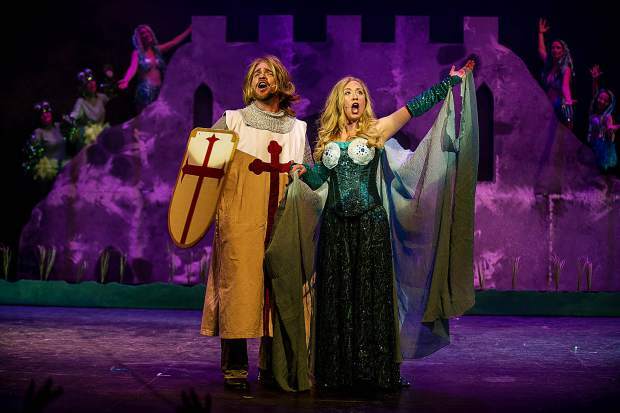 The show is a homecoming for Howell. 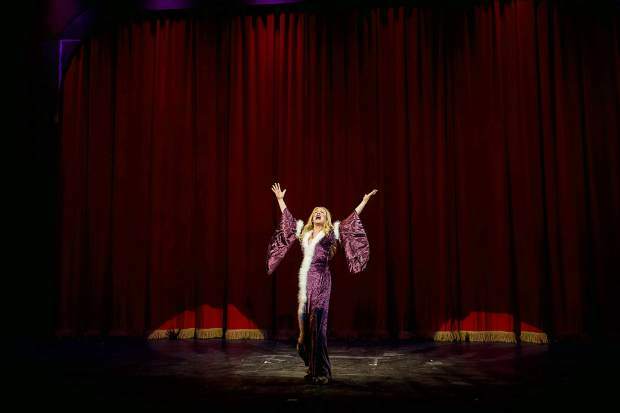 Her first acting gig was in Aspen Community Theater gig was when she was 16, in the still-talked-about 1997 production of “Jesus Christ Superstar.” That show inspired her to move to New York after high school and become an actress. 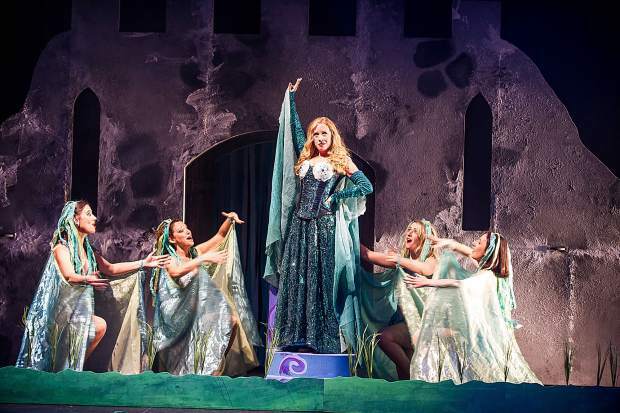 She’s performed in Aspen Community Theatre shows in recent years since returning to the valley, and also worked with the Defiance Community Players in Glenwood Springs. 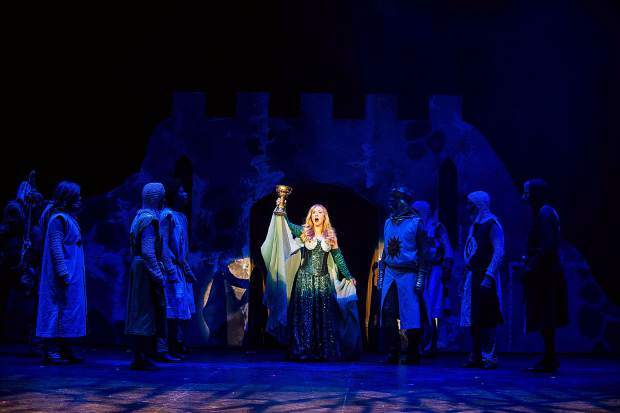 Choreographing a show with the community theater company that shaped her artistic life when she was a teenager is bringing Howell full circle.